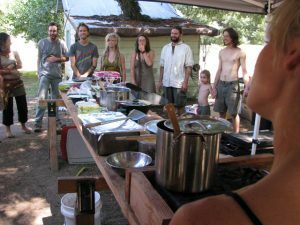 Overview of Intentional Communities, Co-Housing, Ecovillages. Tiny Homes and Tiny Power. Shared community resources. Land: Real estate, wastewater, well water, energy. How these can be shared and bring the cost of development down. The final week concludes with an overview of the Intentional and Egalitarian Community movement. We will look at the various examples of successful sustainable communities, and address many of the legal restrictions, pitfalls, and challenges that come with buying land with others wishing to build a practical, sustainable vision of the future. 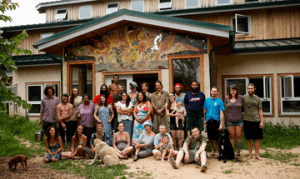 The Laytonville Ecovillage is a living laboratory offering insights in how to deal with county and state regulators, zoning, codes and permits, difficult neighbors, and how you can fit a round peg into a square hole! Come share your stories, successes and chalenges. I do not think the measure of a civilization is how tall its buildings of concreate are, but rather how well its people have learned to relate to their environment and fellow man. In Timebanks, Life Dollars and various versions of the “member skills/needs exchanges” concepts have as a basic unit, an hour of time is valued at a fair living wage in your area. This is subject to individual contracts, so people who provide tools and specialty skills can value the exchange differently than 1-hour for 1-hour exchange. It’s all about the individual contracts – not the dictates of a wall street, government defined value and taxation system.